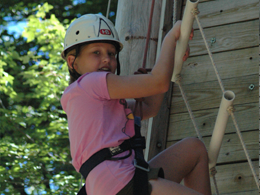 Nashoba Day strongly believes in its commitment to our environment and to the teachings of this awareness to its children. 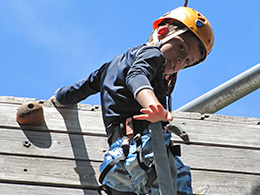 Campers typically start their introduction to nature with lessons on safety in the wilderness, proper handling of fire, low impact camping, conservation techniques and an appreciation and knowledge of nature. 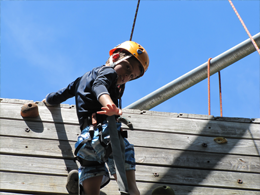 Campers are then screened by the trip department staff as to their hiking ability and are challenged within their skill levels with a chance to advance to higher challenges. Nashoba North is a proud supporter and educator of the Leave No Trace philosophy. 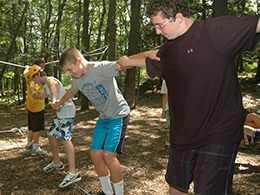 Nashoba is fortunate to have highly competent trip instructors on staff. 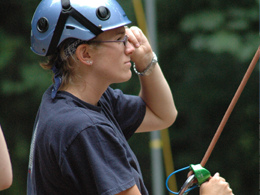 We work in conjunction with the State of Maine trip leader certification and the New Hampshire White Mountain National Forest requirements. 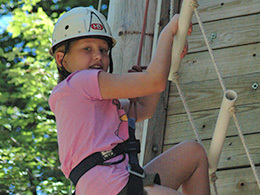 Each week campers may choose the trips they wish to participate in; no trips are mandatory at camp. 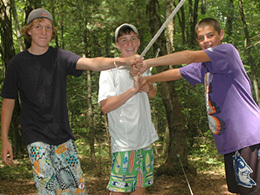 Many campers strive to become of member of the “4,000 Footer Club”. 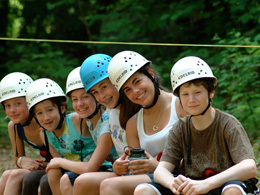 All trips are included in the tuition with the exception of ocean sailing and white water rafting. 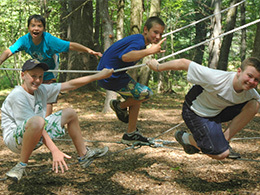 Most day and overnight trips stay within a two-hour proximity to camp. However, we do have extraordinary trips to Baxter State Park’s Mount Katahdin, the highest elevation in the state and to locations off the coast of Maine. 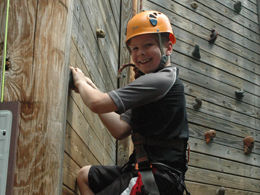 For rock climbing enthusiasts, Nashoba North has a 35-foot climbing wall with six varying sides of difficulty. 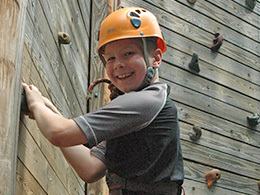 Our qualified instructors can work with all levels of climbers, from beginners to more advanced. 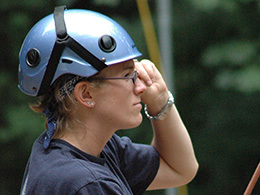 A critical part of their instruction is ensuring that campers learn all the necessary safety techniques including the proper use of the equipment, how to tie in, climbing commands, and belaying. 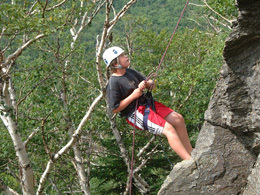 Campers can participate in climbing trips in New Hampshire and Maine.